The Super Bowl is the holy grail of marketing and advertising you say? I say no! This time of year we get to witness the Super Bowl, Daytona 500 and the World Cup (by US standards) and then some. 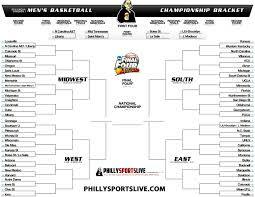 The NCAA basketball tournament has morphed into a marketers dream over the last 25 years or so. It used to be like most sporting events, just that; a college b-ball tourney that basketball fans tuned into. Today, March Madness has become a plethora of advertising, new product releases and awareness campaigns reaching all types of demographics. The typical person tuning in may have a college team they support, but most I suppose, wouldn’t know the difference between a Jayhawk and a Chicken McNugget. So, you college basketball purist are out of luck; the NCAA tourney will never be what it was back in the 70s, 80s or even 90s! This year’s event will be chalked full of ads, apps and other marketing media including the Quicken Loans/Yahoo Sports/Warren Buffet impossible chance at $1B. Marketers know when and where you pay attention…and March Madness is a gold mine! This entry was posted on Wednesday, March 19th, 2014 at 3:17 PM	and tagged with Branding, John Ely Blog, Marketing, the branded blogger, the branded blogger.com and posted in Branding, Branding & Marketing, John Ely Blog, Marketing. You can follow any responses to this entry through the RSS 2.0 feed. « Oklahoma is OK…Alabama too!